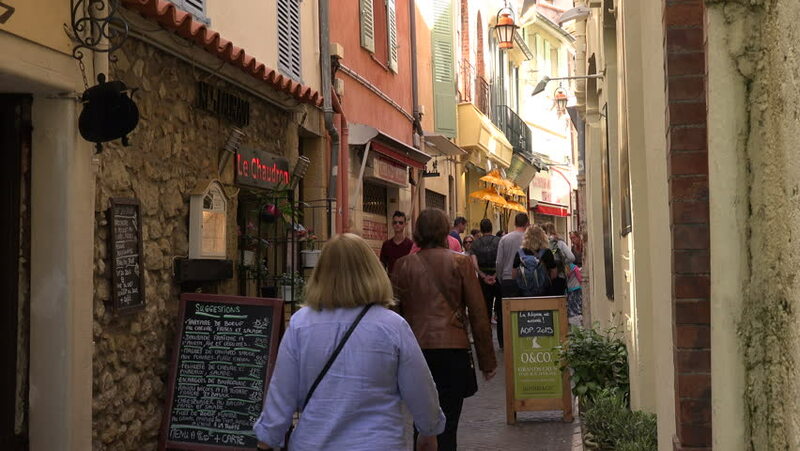 ANTIBES, ALPS MARITIMES/FRANCE - APRIL 29, 2015: Unidentified tourists walk down typical narrow street in old town. Antibes was founded in 5th century BC by the Greeks. hd00:14Kotor, Montenegro - 27 June, 2017. Senior women carrying luggage walking through narrow street of old city by stones paved. Souvenir shops in old town Kotor Montenegro. Souvenir sellers tourists.